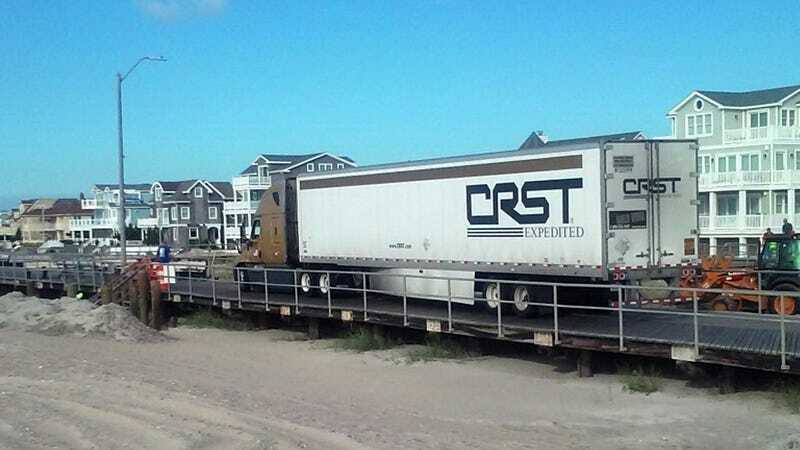 Around 5:30 a.m. this morning, a police officer noticed a stopped 18-wheeler on the boardwalk in Ventnor City, New Jersey, later learning that it had traveled over two-and-a-half miles on the boardwalk. The truck’s driver had “zero explanation” as to why, Ventnor City Police Chief Douglas H. Biagi told PhillyVoice. The truck’s trailer was empty when it was found, and the truck itself was only stopped because the truck was too big to turn off, and, apparently, too big to turn around. “He was in for a penny, in for a pound,” Police Chief Douglas H. Biagi told PhillyVoice shortly after public works employees and a tow truck made it possible to get the rig off the boardwalk at Washington Avenue. “He had zero explanation. I mean, the ocean is on one side, there are railings on both sides. There’s no mistaking you are on the boardwalk,” said the chief. The chief said Ventnor employees spent nearly four hours removing railings and benches to widen ramp opening, but even that was not enough for both parts of the rig to make the turn. And sandy berm was built to fill in the corner of the turn, explained Biagi. 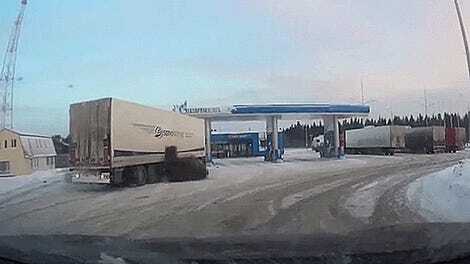 But the cab still could not make the turn with trailer attached. The cab was unfastened and driven off and a heavy-duty tow truck carefully maneuvered the trailer down the ramp and onto the street, explained the chief. Some damaged portions of the boardwalk will now be repaired, in addition to engineers being brought in to test its structural integrity. The most interesting part of this story, though? The driver, who was not identified, didn’t receive any traffic violations, since he was not on an official highway. Instead, he was charged with violating a series of local ordinances. Huh.